After 2017 ended in a price surge that brought huge profits to anyone even remotely invested into crypto, many were expecting that 2018 will be the same, or maybe even better. However, the year has been dominated by bearish markets, huge losses, and headlines regarding hacking attacks, crypto regulations, and news of highly anticipated projects being postponed. Bitcoin, the pioneer, saw its value drop from $19,352 on December 17th, 2017, to just $3,360 on December 12th, 2018. Ethereum fell from $1,405 on January 10th to $88.71 on December 12th. As all the major cryptocurrencies saw their values collapse, several crypto-focused startups were forced to close. Bloomberg reported on a number of companies that, by holding assets in crypto, were pretty quickly wiped out. And with values (and potential returns) diminishing, few investors were willing to hand over more cash to keep them afloat. This has been felt by the mining companies, which spent big on equipment and resources to set up their crypto-mines. In November, CoinDeskreported that up to 800,000 mining machines had been shut down due to the falling price. Big names, like the US company GigaWatt, collapsed still owing millions to creditors like the local utility. After all, mining is famously energy hungry and potentially climate troubling. However, It has been a breakthrough year for Skycoin. After being in research and development for the better of their 7 years in existence, they decided to launch their ecosystem and present to the world what the project has been doing and its vision for the world. Since this launch, it has been development after development making it the most advanced, ambitious and targeted oriented project in the space. 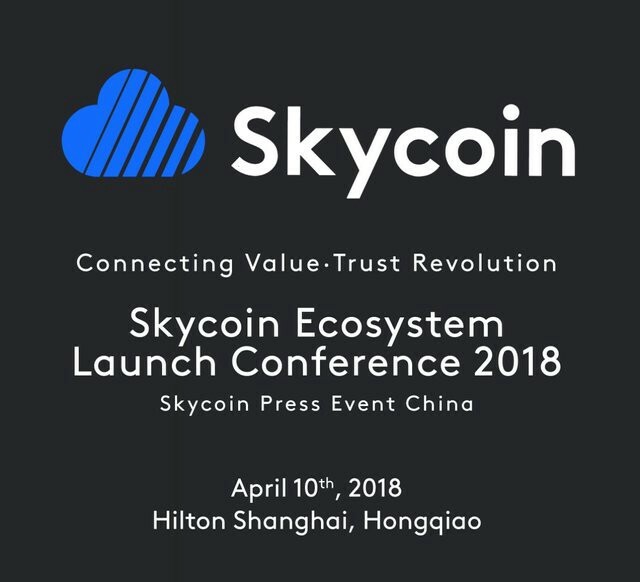 The Skycoin ecosystem chain was officially launched to the public on April 10th, 2018 at the Hilton Shanghai Hongqiao in China. 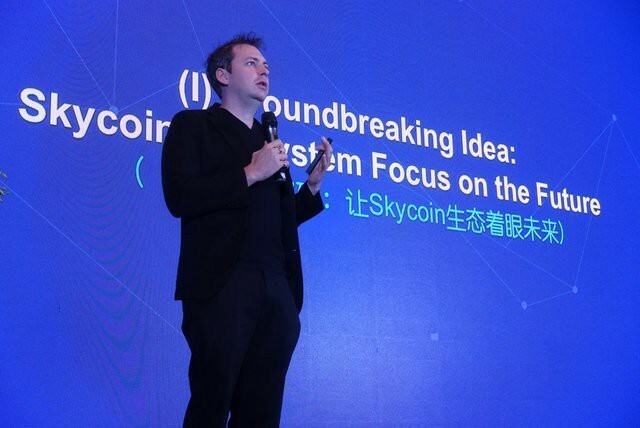 The conference was a milestone event in Skycoin’s development history. It was a precursor to future development of this project. It actually marked the first time a lot of people were getting to know of the project. 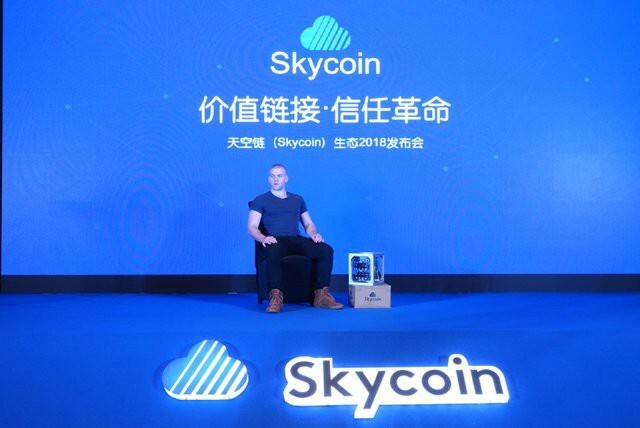 It was an opportunity for the Skycoin team to introduce the Skycoin ecosystem to the world and to present to community members and the public with the most valuable information. 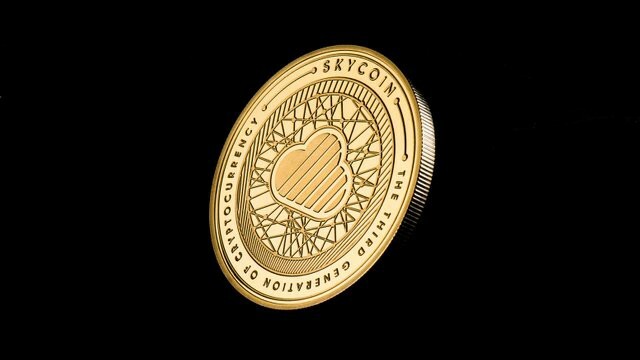 The team used the occasion to inform the community that the Skycoin has been working on the research and development of blockchain protocols and application development frameworks, and has formed a protocol, hardware, network, architecture, and then to the entire chain of application projects in specific areas. They informed us that there are 15 technical teams with different projects in the world. They introduced the whole Skycoin ecosystem to the world. 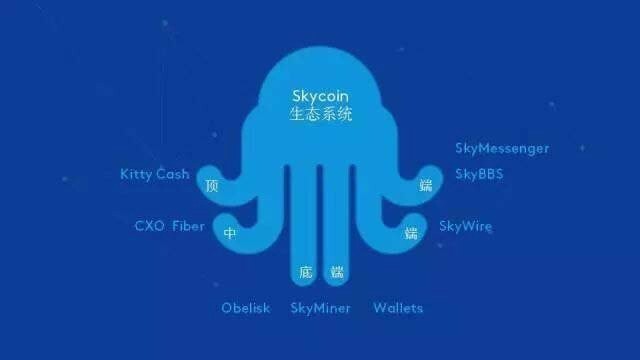 The Skycoin ecosystem could be compared to an octopus. The top energy tentacle includes forums, chat tools and games such as SkyBBS, Skymessenger, KittyCash and so on. Mid-range energy tentacles include network architecture and network transmissions such as Skywire, CXO, Fiber, and more. The bottom of the energy tentacles includes hardware and protocols such as Obelisk (consensus algorithm), Skyminer, Wallets and so on. The so-called application landing means that more users will use various applications developed in the blockchain platform, such as games developed based on the blockchain’s platform. The application is the top of the blockchain, and it is also the most easily seen and used by users. 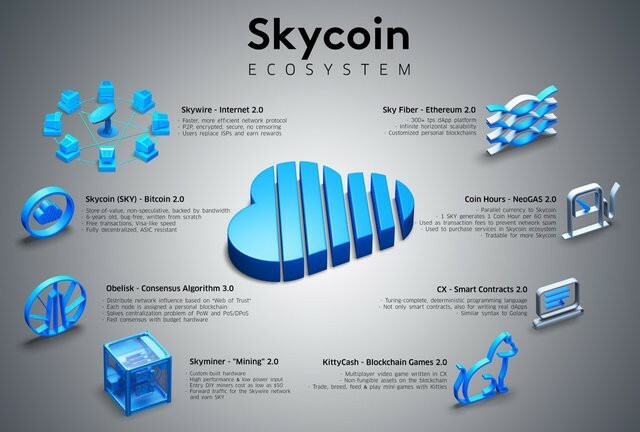 Skycoin is such a complete ecosystem with bottom-up hardware and software development, mid-range information network architecture, and top-level applications. 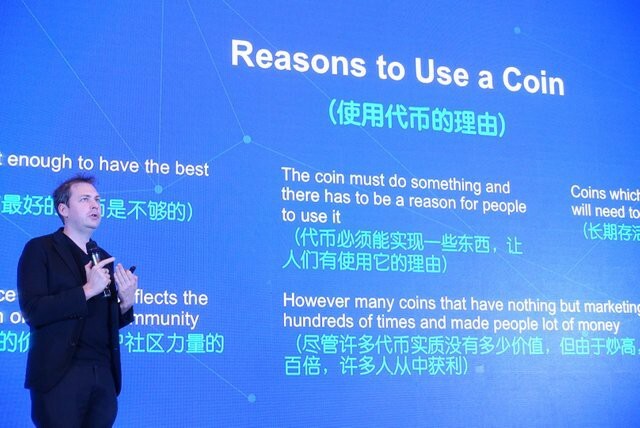 He told the audience their original intention of launching the Skycoin project was to solve some problems that Bitcoin and Ethereum had, such as PoW (Workload Proof Consensus Algorithm), the centralization, 51% attack and other drawbacks. 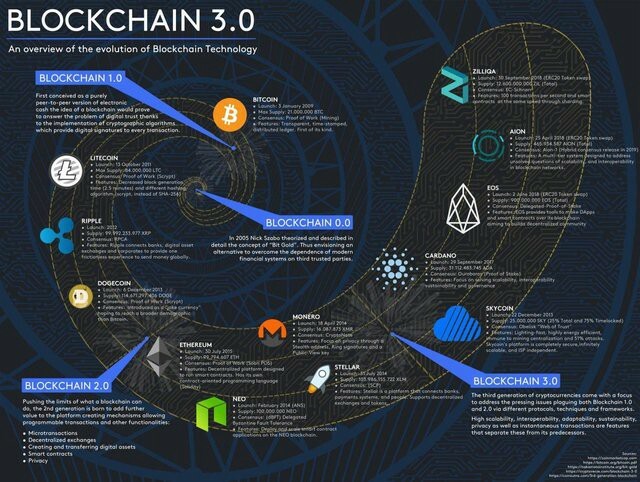 Synth, the co-founder of Skycoin and one of Bitcoin’s earliest developers, pointed out at the meeting that the three characteristics of decentralization, security, and high-efficiency of blockchain technology are currently absent from blockchain technologies such as Bitcoin and Ethereum. Being fully embodied, it will inevitably lead to new breakthroughs as the research deepens. 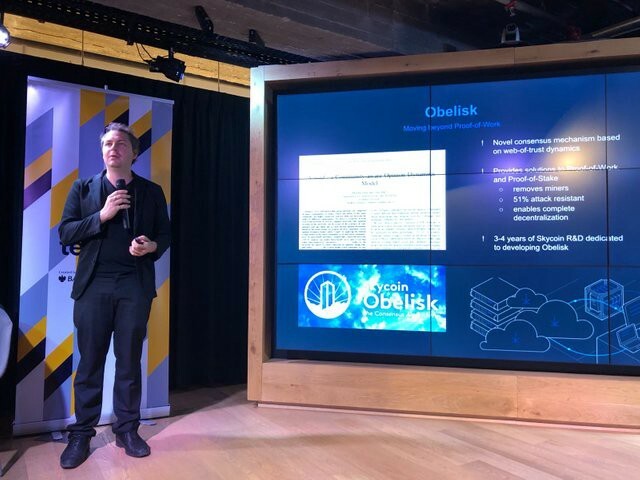 According to him, the Obelisk algorithm abandoned mining and instead used “money time” to motivate users’ sharing behavior, greatly saving computing resources; simplified the Byzantine general problem, created a public radio channel, and avoided consensus confirmation. The delay is too long; using intelligent nodes, it automatically identifies and cuts off connections to malicious nodes and prevents large-scale coordinated attacks by malicious nodes. 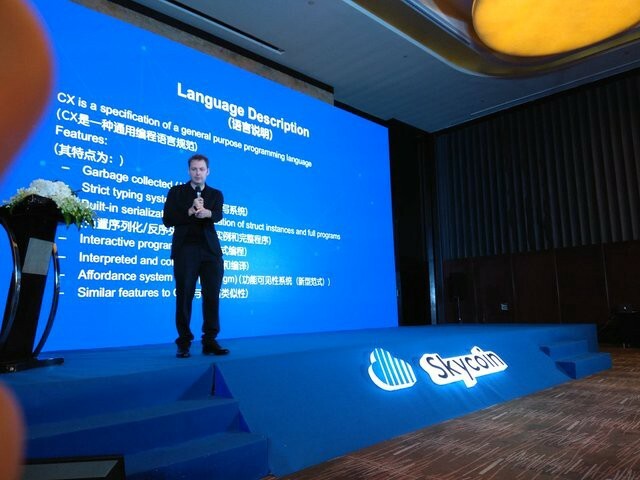 The Skycoin also introduced its own programming language and immutable object system, providing the foundation for the application logic and data distribution of the Skywire network. This is the CX language and CXO object system. CX was created to build distributed applications, video games, and program FPGA chips. The resulting derivative language package, CX-Game, is a language package developed by Skycoin for game programmers. It is currently developing mini-games and more complex game prototypes. 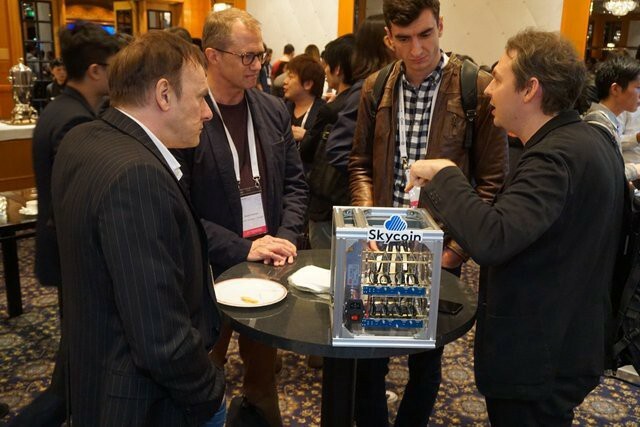 The highlight of the ecosystem was the introduction of Skycoin’s flagship project Skywire Skyminer. 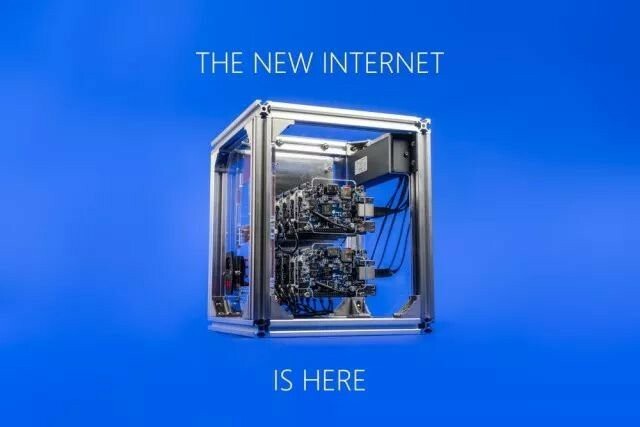 It was the first time the whole world was presented with the Skyminer. Skyminers provide computing power, networking capability, and storage capacity necessary for the Skywire network to function properly. Skyminers act as specialized VPNs and nodes on the mesh network that allows users to essentially become their own ISP, granting user freedom to engage with the encrypted network, Skywire. The Skyminer designer, a young genius named Tien, introduced Skyminer’s original design intentions, returned the data to the data generator’s concept, and ensured that each user had absolute control over his own data. Tien shared and introduced Skyminer and Skywire’s design principles, features, advantages, and safety features on the stage. Skywire, which is powered by Skyminer has the advantages of low latency, high performance, and privacy protection over the existing Internet and is the cornerstone of the Internet and the Internet of Things in the future. In the Skywire network, users can share their own hard drives, memory, CPU, GPU, bandwidth, etc., and share rewards when they can get coins, which will promote the establishment of “value Internet. Skywire will also develop its own ecosystem, open it to third-party applications, and build an APP Store,” Tien said. Thanks to the flexible architecture design, Skywire has now been able to easily access the various APPs and operating systems used by users and is managed uniformly by users. 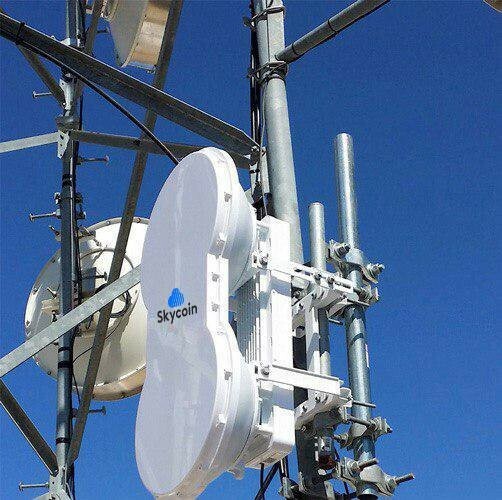 In addition, Skywire, in conjunction with Skyminer, the hardware configuration of Skycoin, will be able to easily achieve Gigabit bandwidth, not only as a blockchain network node but also as a personal Internet Service Provider (ISP) in the future. Second generation Skyminer will feature multi-terabyte storage arrays and specialized FPGA chips for fast decryption of high-volume traffic. It will include an LCD screen for displaying network information. The good thing will be that a new ARM processor is being made specifically for the Skyminer, making it cheaper to build overall. These next-generation boards will cost approximately half of the price of the current Skyminer Orange Pi Primes, bringing the total cost of the equipment down. 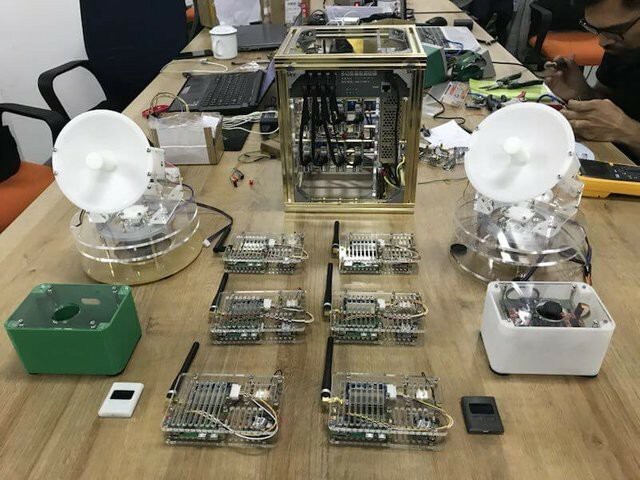 Prototypes, Alpha and beta testing have been completed for the second generation Skyminers have been completed and will start shipping in the first quarter of next year to coincide with the mainnet launch. 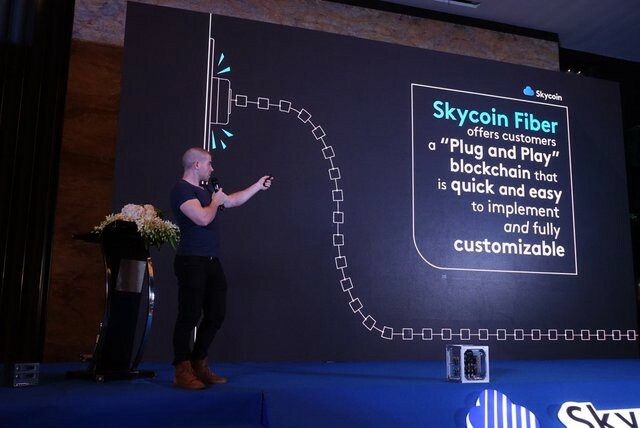 The Skycoin project co-founder Steve also used the opportunity to introduce Fiber platform of Skycoin. 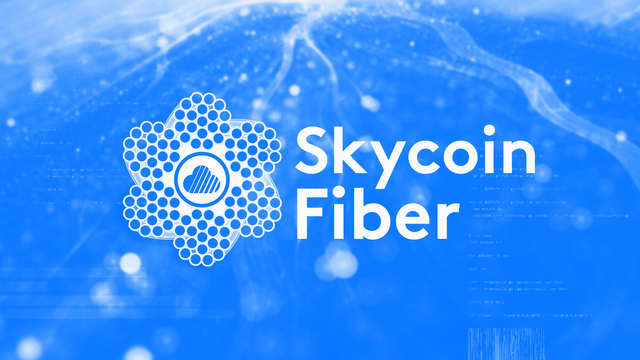 Skycoin’s Fiber architecture is a transformational, better-than-blockchain solution, which solves existing problems using, distributed ledger technology. 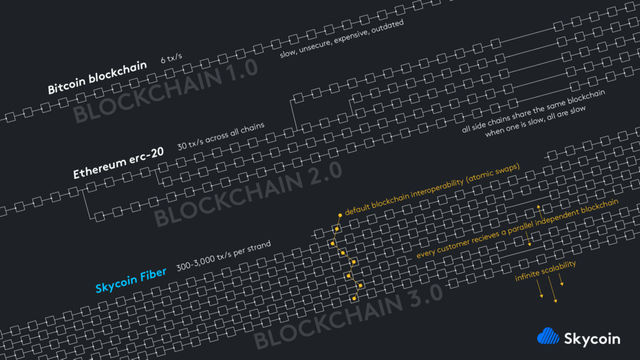 Fiber is the foundation of blockchain 3.0 and can be best described as an infinitely scalable network of blockchains lay side by side, like strands. This is a technological feat that cryptocurrencies such as Bitcoin or Ethereum will never be able to achieve, as they were never engineered to scale infinitely. Bitcoin’s single blockchain can handle 6 transactions per second (TPS) and Ethereum’s single blockchain can handle 30 TPS. With Fiber, each blockchain strand can currently handle 300 TPS with a target of 3000 TPS in future implementations. Fiber offers performance and reliability that are unmatched by the other blockchain solutions currently available. Fiber is way above all platforms in blockchain and the good thing is it is free. The first generation of blockchains is very monolithic, and people must build a blockchain from scratch. By the second generation of the blockchain, we have Ethereum, where you can quickly issue your own ERC tokens and raise funds for any concepts and ideas through first-time token financing. The difference in the third-generation blockchain is that the company will have its own blockchain instead of the blockchain based on Ethereum. This is very attractive for companies that want to explore the blockchain field or issue gift cards. For example, Skycoin will have a POS system. If you have 60 chain coffee shops, you can install the POS system and start issuing gift cards on the blockchain. 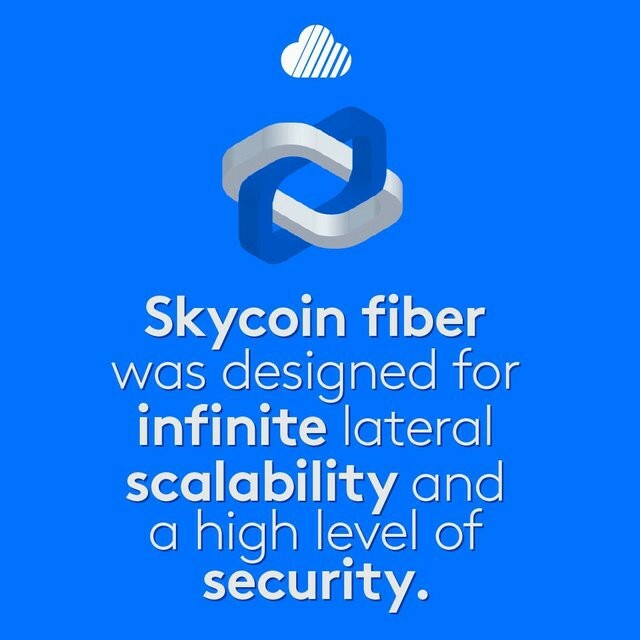 People can store these irreplaceable digital assets on Skycoin’s Fiber platform. They can also use these gift cards at the coffee shop’s POS system. Steve explained that blockchain is a database. Skycoin wants to make the blockchain as easy to manipulate as a SQL database and a MonogoDB database. Therefore, they have built this integrated and standardized platform to make it easy for businesses and individuals to operate the blockchain. 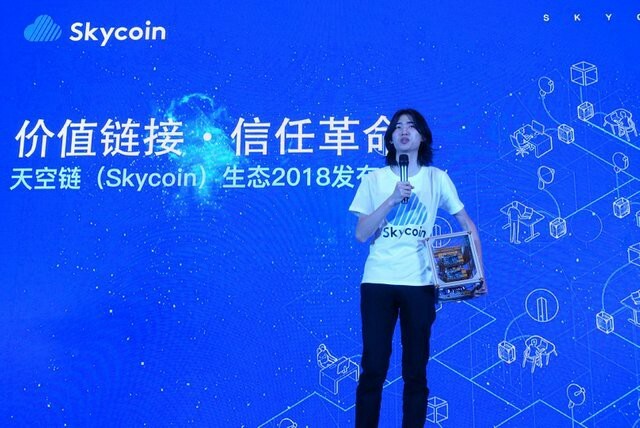 He then introduced developers of applications based on the Skycoin platform fiber, including details of their specific applications, including the new generation of KittyCash and many other projects under the stable of Skycoin. This was a highly successful eco-launch and all eyes were on this project henceforth to see if they could deliver on their ambitious proposals. 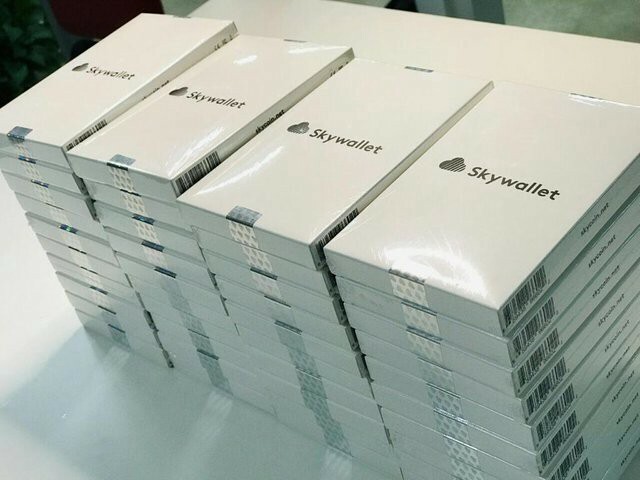 Immediately after the conference, the project started shipping out official Skyminers to subscribers according to the waitlist. About 750 official miners were shipped out for the testnet while the rest of the miners came from the community who built their DIY miners. 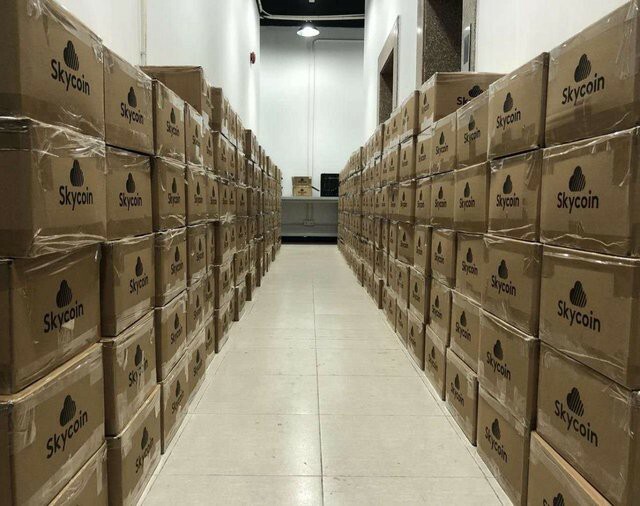 Following the Skywire testnet phases and the limited initial release of Skyminers, the project is increasing there manufacturing capacity to meet their goal of producing 10,000 units per week in 2019. Prior to the conference, The only exchange you could buy Skycoin was Cryptopia and CC2X but immediately after the conference there was so much demand for the coin and out of the blues, the announcement came that the project has been listed at the world largest exchange Binance on 24th of May 2018. This resulted in a spike of more than 35 percent in a day where every cryptocurrency market was bleeding. The coin got into the top 50 momentarily of CMC before the usual correction that happens after a very high price spike in any coin. 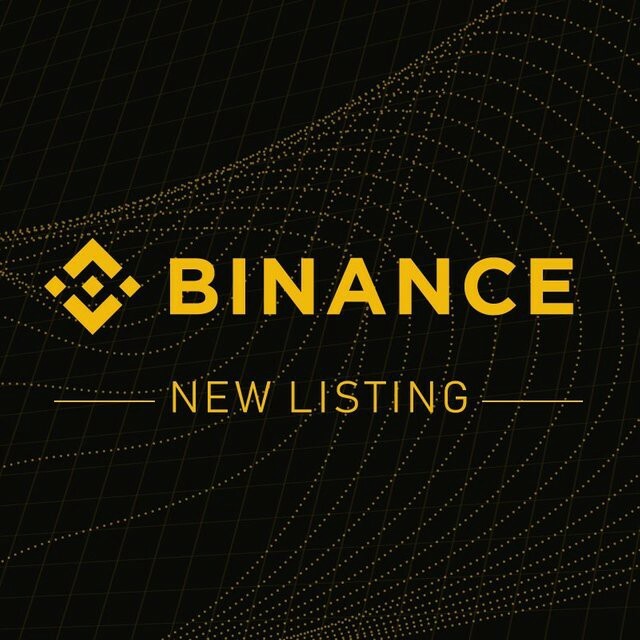 It’s now officially trading on Binance with 3 pairings (BNB/BTC/ETH) on the worlds leading exchange. So many other exchange listings have since followed after the Binance listing, for example, Chaoex Bitrabbit, BitBNS, Coin 918, Plaak, and Coinspot amongst others. 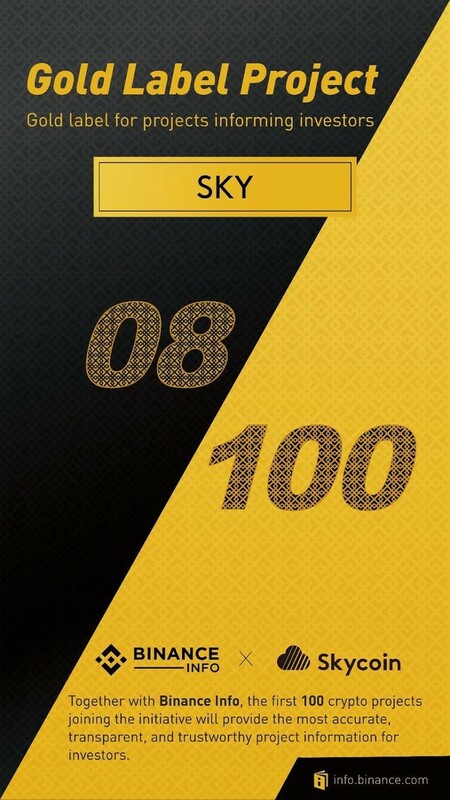 In addition to this Binance announced the inclusion of SKY as one of the first-round projects for Binance Info’s “Gold Label Project.” Skycoin community and Binance users will now have the ability to receive the latest updates and information about the Skycoin project through this platform. 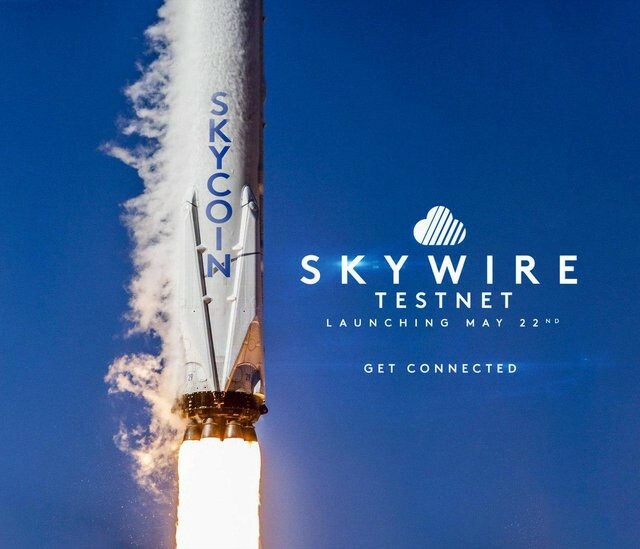 Almost at the same time that the Binance listing was announced, they announced the launch of the Skywire testnet on the 22nd of May 2018. Skywire is the decentralized mesh network that will serve as the foundation of the new Internet. 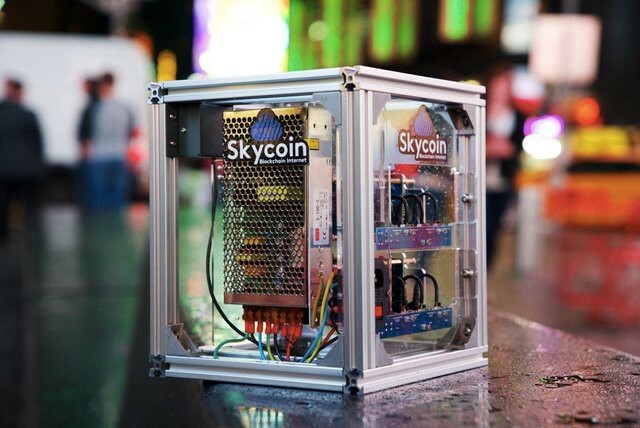 The Skyminer is a hardware component of Skywire with computing power, network, and storage capabilities. Based on the obelisk algorithm, traffic is forwarded and stored in the Skywire network, providing data transmission routing and implementing node accounting functions. The work of the node is achieved through Skyminer. The purpose of the Skywire testnet is to serve as a sophisticated pre-launch program for the upcoming mainnet by stress-testing the network, solidifying the economic model, and ensuring that nodes operate according to protocol. Since the launch of the test net in May, the project has been paying put $250,000 monthly rewards on a monthly basis to participant in the testnet. Beyond the initial configuration and setup, there is no ongoing work required to receive payment. Ensuring the nodes are powered, active and online are all that is necessary to earn the network reward. 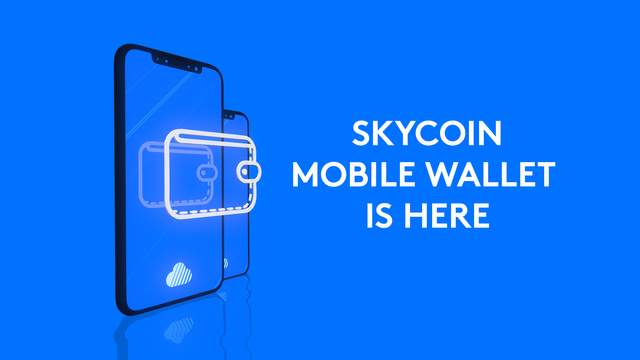 This year also marked the announcement of the first official Android and IOS mobile wallet of the Skycoin Project. This initial version of our mobile wallet includes all the basic functions you’ll need, as well as some advanced features. The wallets also included a more advanced feature where you can select the specific UTXO (unspent outputs) for sending Skycoin. This allows more flexible customization of Coin Hours usage for user ’s needs. 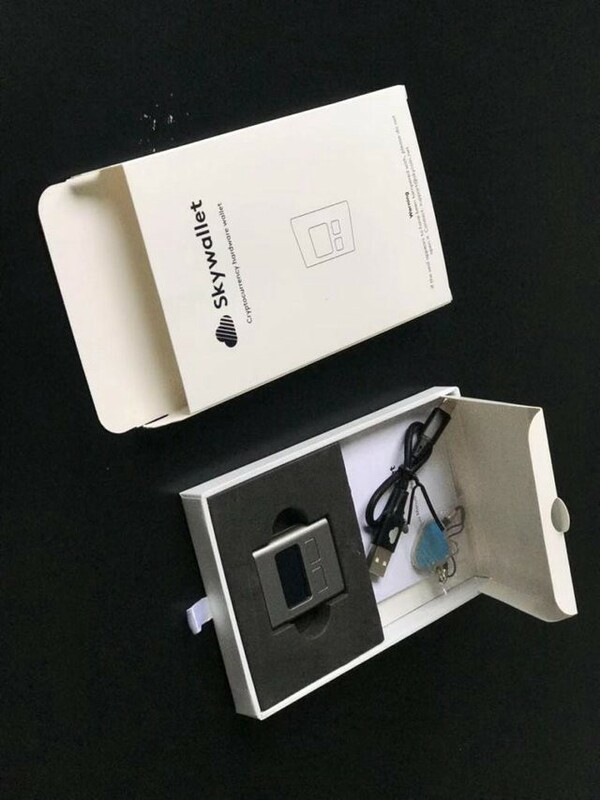 Following up with, the project also released their hardware cold wallet called Skywallet. This new hardware wallet will start shipping in January of 2019. These wallets were designed with the highest degree of security, privacy and anonymity to safeguard the user from the theft of his/her cryptocurrency. The ease of use, support of multicurrency and the price that is expected to be $30 dollars are some of the attractive features that will make it a widely adopted wallet in the market. CX is the next generation programming language that goes beyond smart contract that was developed by the Skycoin team that will be used to develop Skysuite applications. Apart from using it to design and program smart contracts, CX can be used to create distributed applications, video games, and program FPGA chips. Developers will be able to build applications with market incentives, while also providing a desirable user experience. CX has a strict typing system with explicit type casting. Implementation of this typing system makes CX an inherently safer language than other programming languages. Debugging becomes more straightforward as most errors you would encounter are caught at compile time. 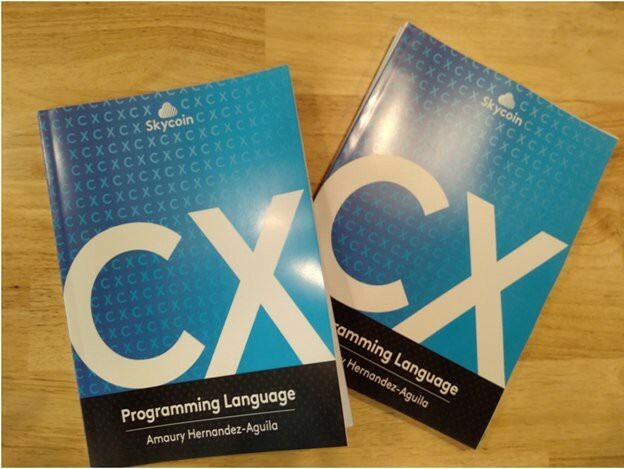 To make this easy, the Skycoin team had to produce a CX programming book this year and it can be downloaded from the link below so as to encourage budding developers to contribute to the Skycoin ecosystem. The Skywire antennae are undergoing a rigorous testing stage and a number of new full-time hires have been put in place to work on the motor, GPS, and accelerometer. 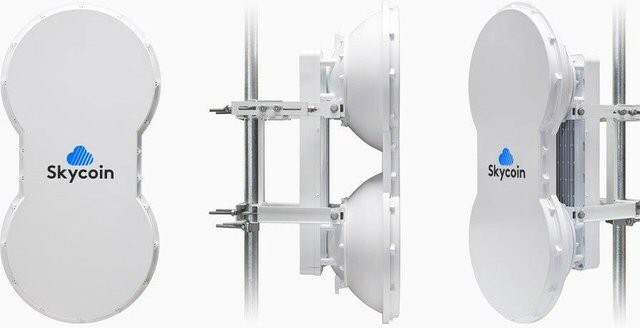 Long distance and omnidirectional versions will continue to develop as the other areas of Skywire progress. The Prototypes and testing of motorized directional WIFI antenna are at its final stage. 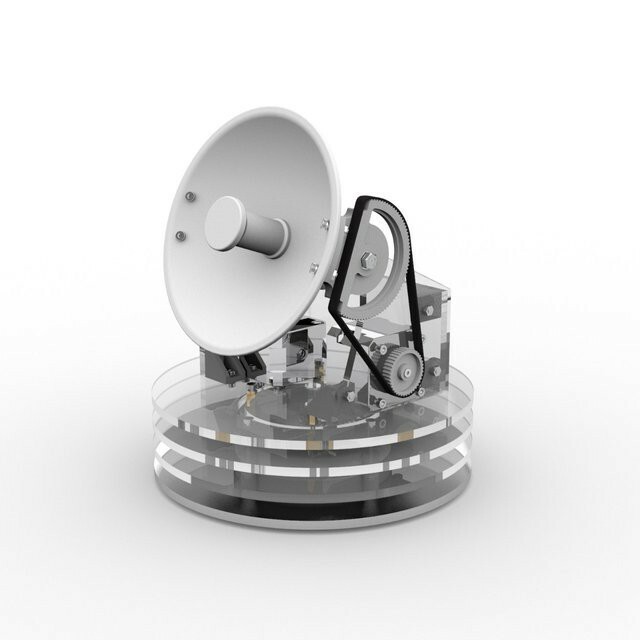 This device will transmit bandwidth at approximately 100 Mbps and will automatically detect and connect to other Skywire antennas to form the Skywire MESH net. 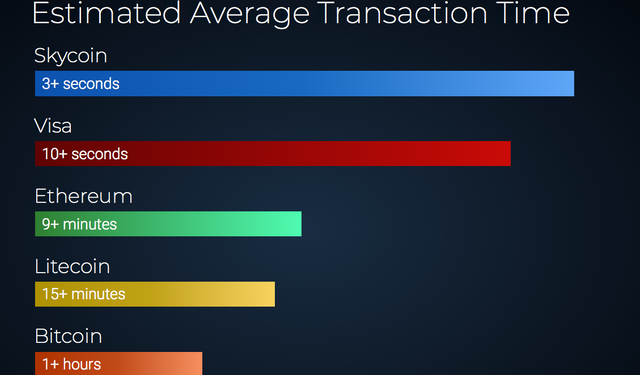 Unlike Bitcoin, Skycoin users don’t need to give away part of their balance as an incentive for miners to process their transaction. Instead, they use Coin Hours as fees. A transaction requires a minimum percent of input Coin Hours to be destroyed. This Coin Hour burn fee prevents transaction spam by rate limiting the number of transactions a single entity can make. Coin Hours are only recalculated when a new block is published because the block timestamps are used as the network clock. The amount of time passed is calculated as the difference between the head block time and the time of the block in which the UXTX was created. The local computer’s time cannot be used to calculate coin hours because system clocks are not synchronized across a decentralized network. To create an economy for Coin Hours or Skyhours as they appear on your wallets, the project has completed a Coin Hour bank to buy back the Coinhours. Coin Hours is an essential component of bandwidth metering for micro-transactions that occur off of the Skycoin blockchain. 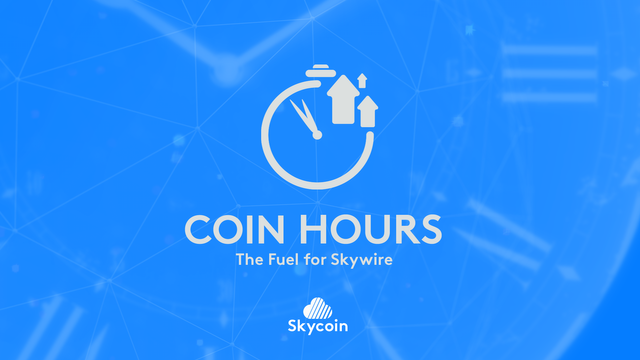 Coin Hours are Skycoin’s inflationary derivative currency that powers transactions on the Skywire network. The Coin Hour bank will move all Coin Hour transactions off of the blockchain and will handle upwards of 10,000 transactions per second. The Coin Hour burn will continually be reduced from the current 30% to ultimately 0% creating the necessary specifications needed for Coin Hours to have their own fair market value. 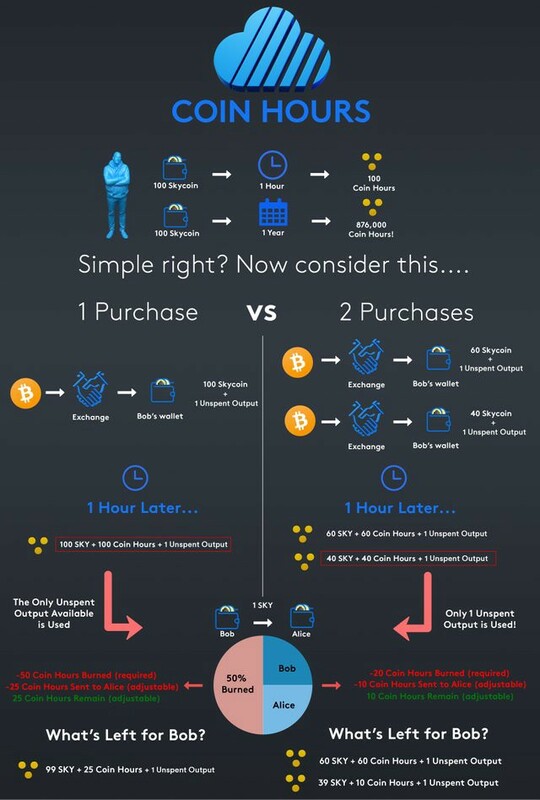 The buyback rate has been bandied at about 30–100k per Skycoin. In the concluding part coming shortly, I will discuss the Skycoin community, John McAfee, Synth’s Kidnap and media coverage of Skycoin in the year 2018 .